This week marks the beginning of Wrestlemania week! This year, Dallas, is the home of Wrestlemania on Sunday. I’ve been a fan of wrestling since 1980’s and have seen many Wrestlemanias. My first was in 1987 with Wrestlemania 3. Which to this day is still my favorite Wrestlemania. I will still go back and rewatch it and it brings me right back to that moment. The main event of that night was Hulk Hogan vs Andre the Giant. It really didn’t get much bigger than that match! Hogan was featured in quite a few Mania matches but few lived up to the hype like this match did. It didn’t hurt that I was a huge Hulk Hogan fan back then. I try to not let all of Hogan’s personal business change my feelings about those days but it can be a little hard. 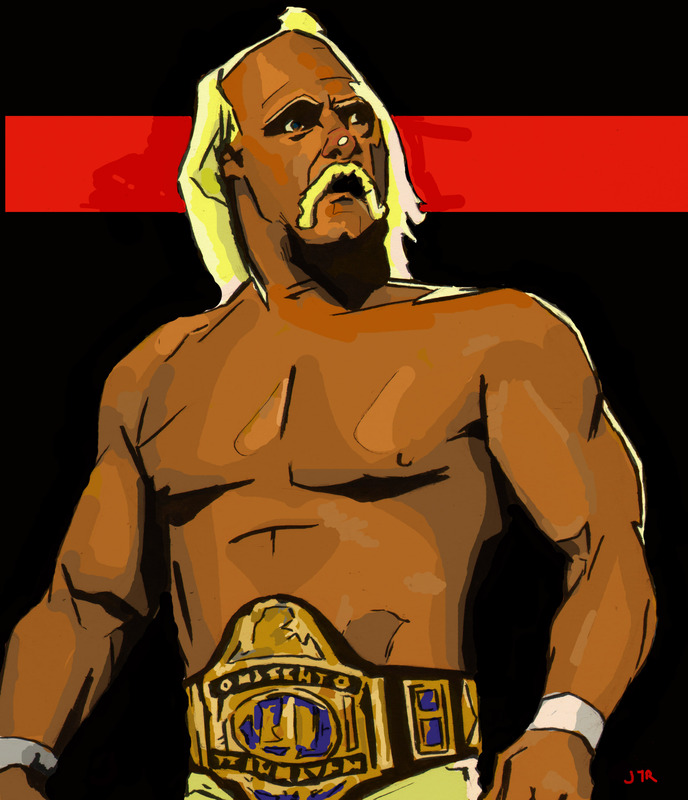 So, this drawing is a snapshot of that era of Hogan from Wrestlemania 3. And, I will be repeating this theme of wrestlers from this time period for a little bit. This also marks a new addition to my art work. This piece was drawn with ink and then scanned into the computer and colored with Photoshop. I am going to be doing more pieces this way along with my traditional paintings. Hopefully everyone will enjoy!